Almost all of us in the MPA program would probably end up taking the CPA exams at one point or another — some of us sooner while others later. Apply early. The Board of Accountancy can take a few weeks to process your application. It is fine to start your application even before your Bachelor’s completion shows up on your transcript, because they will need to process your data before doing anything else. Apply for review courses. 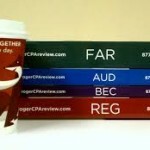 I used Becker, and they were nothing but helpful to preparing me for the CPA. The courses are long, and workload is tremendous, but I can assure you that it will all be worth it. Select your dates as soon as you can. When you finally receive your Notice to Schedule, remember to do so ASAP!! The good days and times will run out in a heartbeat. Who would want to be stuck in peak hour traffic right before the exam? Do not procrastinate. 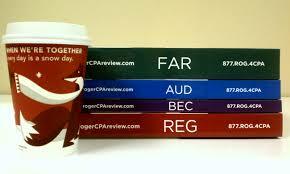 Preparing for the CPA requires a minimum of 15 hours per module (a minimum of 5 modules per exam). So it is in your best interest to get them all done in steps, rather than cramming 75 hours worth of work in a few days. With all that said, to all of you taking the CPAs. Good luck! Two years in a row, I’ve found myself on a deserted campus a few weeks before the semester starts. Last year, it was for pre-internship classes that started on January 2. This year, once I got nice and smug about the idea that as a 5th-year, I was off the hook for starting classes early, I found out that to catch the first class for the on-campus CPA exam review, I had to be here on January 2…again. After my initial grumblings about cutting my stay at home a little short, I made it back to campus and realized that being here before school starts is actually not that bad, as long as you know where to look for the silver linings. Funny thing is, since school started back up I have noticed these perks are applicable to early mornings too. 5. 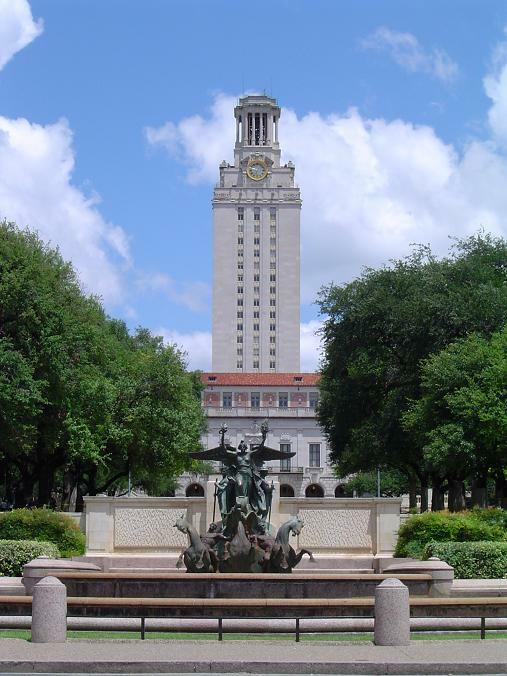 Fewer Distractions – It’s always a bummer to be back in Austin when nobody else is here, but the flip side is that there are significantly fewer distractions. Hopefully that serves me well this year and lets me get a head start on this CPA exam prep! 4. Solidarity – Since lots of MPAs are here and pretty much nobody else is, it’s a great chance to get to know other people in the program when you all have more free time. Whether it’s working on a group project or grabbing something to eat, you can revel in the solidarity that comes from getting an early start to the semester. 3. Peace and Quiet – Okay, so admittedly, I typically enjoy walking around and seeing a million things going around on campus, but a calm, quiet walk through campus is pretty nice once in a while, especially when I’m not quite ready for the chaos that this semester is sure to bring. 2. Open study spots – Whether you like to study at the business school, the library, or at a coffee shop, everywhere is less crowded before the flood of students hits the campus. It makes those golden study spots (like an empty table at my favorite coffee shop) a breeze to find. 1. Parking – No matter what time I need to drive to campus, I can always find a pay-to-park spot or permit parking pretty close to where I need to be (a welcome relief, since the buses aren’t running yet). Just be careful that it doesn’t make you even more frustrated when you can’t find parking spots in a few weeks. So if you find yourself forced into coming to campus early, make the most of it! Scope out some good study spots, take a quiet walk through campus, and use the chance to be productive! From my very first semester in the MPA program, the importance of preparing for the CPA Exam has been drilled into my mind. As a 5th-year student in the integrated program, I plan to take the exam in the spring. 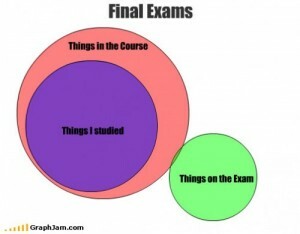 What I never realized, though, was how much preparation is involved before I can even begin studying. Now that my application is submitted (albeit with several deficiencies to clear before I can sit for the exam), I’m starting to look at CPA Exam review courses. The firm I’m going to work for provides a few options for review courses they will pay for, so I started reviewing comparisons of the course materials, lecture styles, pass rates, etc., but nobody seems to agree on which course is best. Last week, I attended an information session with the academic advisors, which helped to clarify exam requirements, testing periods, fees, and all the other things I need to juggle before sitting for the exam. There were also representatives there to tell us about the CPA review course that will be offered on campus next spring. After going through about 12 handouts full of information, I’m feeling a lot better about managing all the things I need to do. The next step (after I get my bachelors degree in December and clear my application deficiencies) will be to schedule my exams and actually start studying! It’s exciting, but also pretty intimidating. My review course materials are on their way, so here’s to a spring semester jam-packed with caffeine and exam prep!